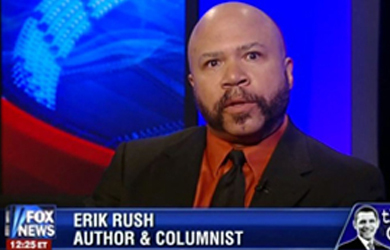 WorldNetDaily columnist Erik Rush thinks that President Obama is not only acting like “a seasoned domestic abuser or crack interrogator,” but also a member of the Gestapo working in concentration camps. 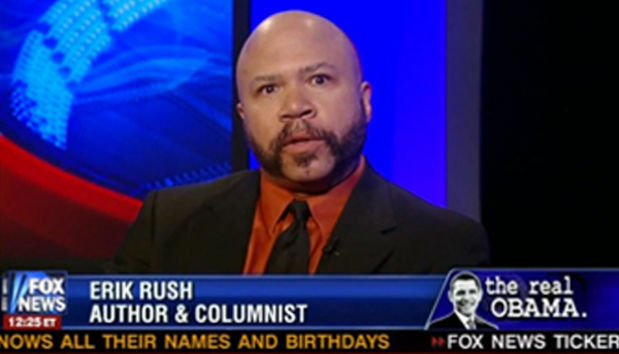 In his weekly column, Rush also writes about his concern that “Obama looks completely deranged” in a still photo taken from a recent address, conceding that it was probably just a frame of Obama blinking. 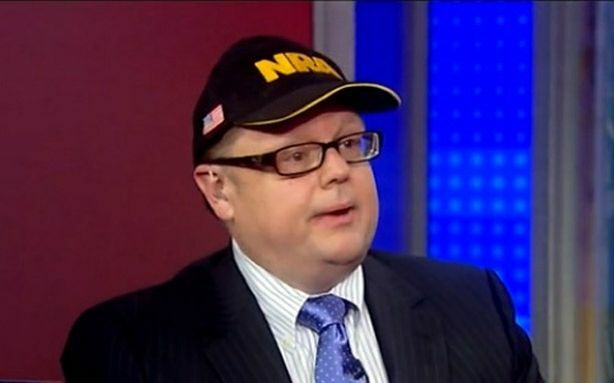 The Jews who had emerged from cattle cars, alarmed because they’d just been ordered to remove their clothes, were also reassured by the Gestapo. They’d had a long, hard trip, they were told, and were only being stripped down for a “common shower.” Of course, the “shower” was a gas chamber, and the rest is history. This is a hell of a psycho-dynamic Obama is using, in my humble opinion. Telling a population that has every reason to be alarmed not to be alarmed and to trust him and his minions when everything they’ve said to date has been a lie (or at least inaccurate, to those who aren’t fully awake yet) is not only audacious, but it smacks of the subtle manipulation one might encounter from a seasoned domestic abuser or crack interrogator. Last weekend, Obama addressed the threat to America from the Ebola virus during his weekly television and radio address. Leaving aside the gross inaccuracies and misrepresentations contained therein, what caught my attention was a photograph from the video of the address released by a news agency in which Obama looks completely deranged. Now, in all fairness, a single-frame representation of an individual blinking (which I believe Obama was doing at the time) can be deceptive. There are many who believe that Obama has deep psychological problems, but my question is this: Out of a video of tens of thousands of frames, why would a news agency choose one that made the president look like a long-term psychiatric patient? Well, Obama has been slighting news agencies for a long time. Perhaps they’ve had enough.